The French word “cerisier” means cherry tree, and so the Serisiers have adopted this as their family emblem. 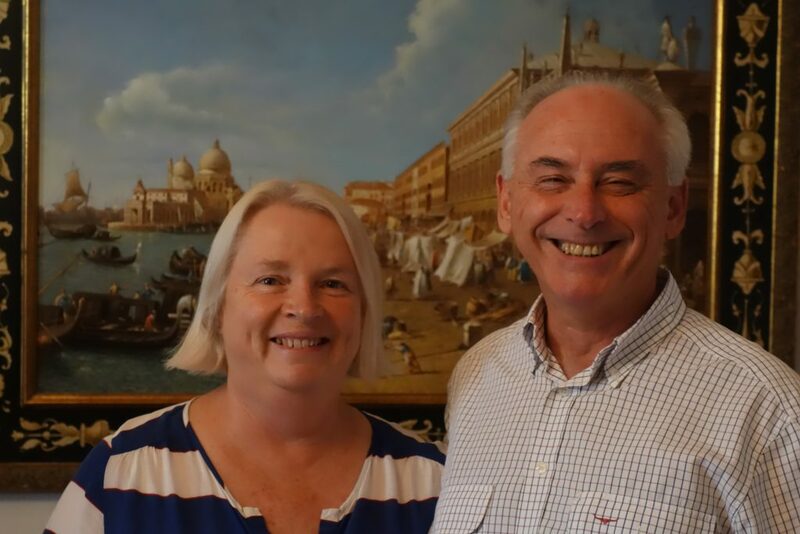 Undoubtedly encouraged by their family history, the Serisiers fell in love with France and the French way of life, and decided to buy a house there. 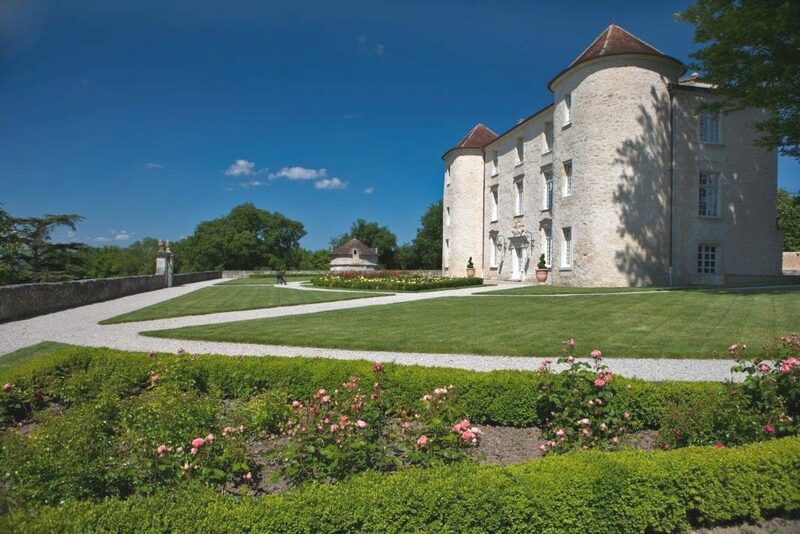 Fate led them to acquire nothing less than a full-fledged castle close to Libourne in 2004. The Château de Cadillac in Cadillac-en-Fronsadais (not to be confused with the château of the same name 60 km distant in the eponymous town on the Garonne) has a rich history dating back to the Middle Ages. The Serisiers beautifully renovated the impressive building both inside and out. It now corresponds in every way to one’s mind’s-eye representation of a French château. The estate included 3-hectares of vines on the plateau leased to the previous owner of the chateau who had retained the rest of the vines. However, Richard, who could easily have settled into a comfortable early retirement, decided that he wanted to take control of and extend this vineyard holding. A man of action, he reasoned that the limestone plateau overlooking the Dordogne had much the same terroir as nearby Saint-Émilion and wanted to make his own wine. He strongly felt that winegrowing here was “a geographical inevitability” and that, surrounded by vines, it was only natural to try his hand at winegrowing. 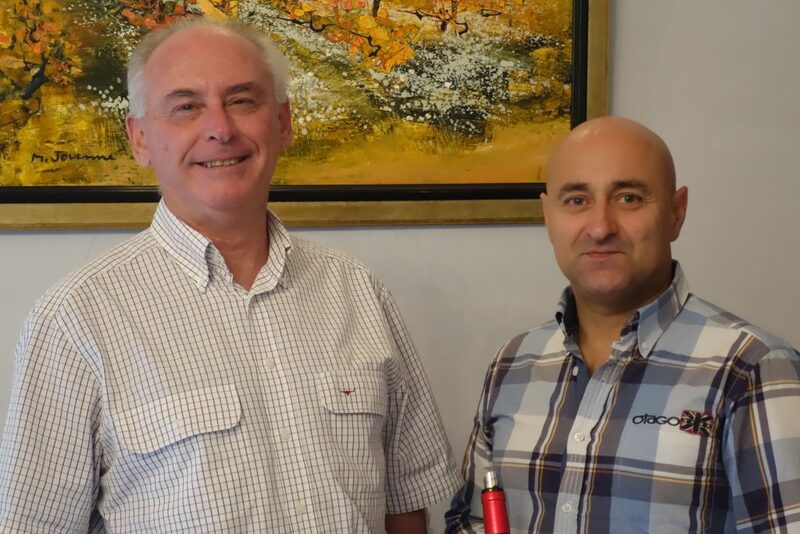 So, when the former owner of the chateau sold their estate in 2011 to the Chinese, Richard bought the rest of the best parcels on the plateau adjoining the chateau. Taking a very “can do” New World approach, he does not have much truck with Bordeaux hierarchies of appellations and classifications. All his wines are either Bordeaux or Bordeaux Supérieur, and he believes they should stand on their own merits. He sells much of them to the local restaurant trade, where they have done rather well. Richard could not call his wine Château de Cadillac because there is a Bordeaux sweet wine appellation of the same name. So, he chose that of the vineyard plot poetically designated Champ du Bout du Monde, or “the End of the World”, on the land register. He did not attach the word “château”. 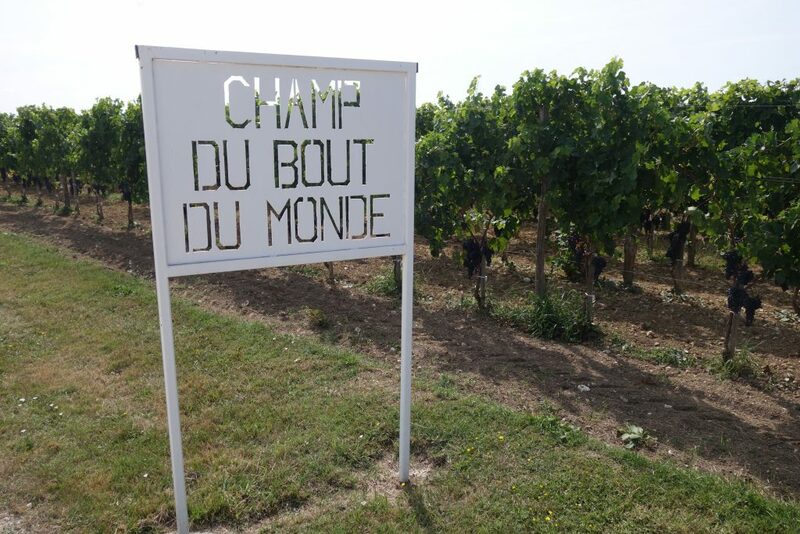 The first vintage of Le Bout du Monde was in 2012. 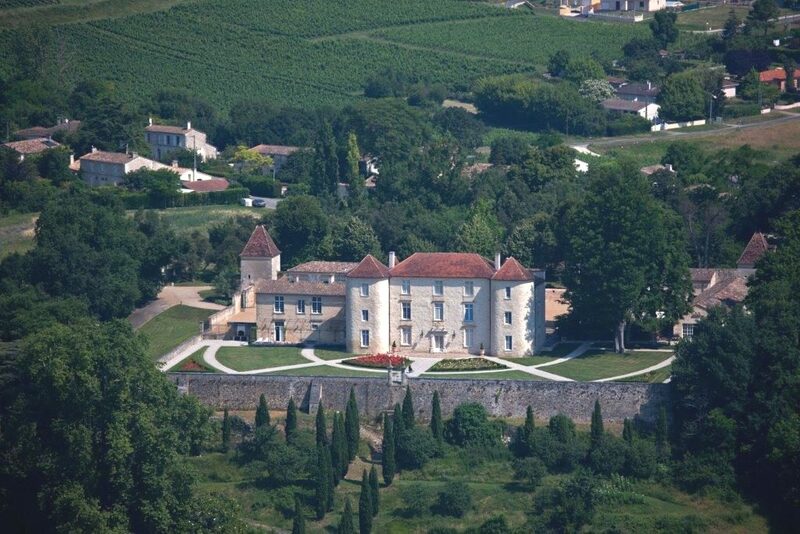 In 2013, Richard also bought another closeby vineyard estate, Château Meillac, in Saint-Romain-la-Virvée. This provided a much-needed and since-renovated winemaking facility centred around an 18th century windmill. Total area under vine now stands at 15 hectares which includes 5 hectares of new plantings. Average annual production amounts to 40-45,000 bottles a year. 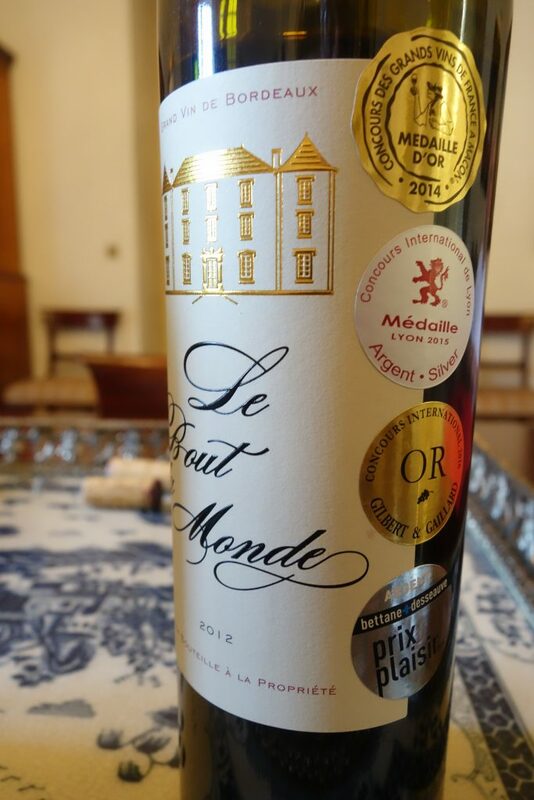 Le Bout du Monde accounts for 70% and Château Meillac 30%. 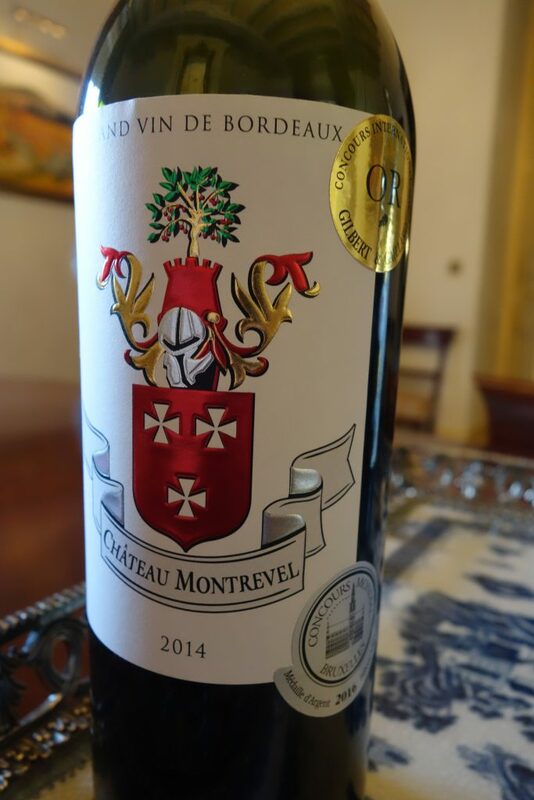 A prestige cuvée, Château Montrevel, was first made in 2014 (2,500-3,000 bottles a year). This comes from the best part of the vineyard and undergoes vinification intégrale. I sampled the full range of wines, which made a very good impression. Meillac is the entry level wine, easy-drinking and early-maturing. Le Bout du Monde is more serious and has already garnered several medals. Last, but not least, Château Montrevel has benefited from its vinification intégrale winemaking and mercifully avoids the trap of too much oak on the palate. It is a fine wine that would stump just about anybody tasting it blind. The proximity with Fronsac and especially Saint-Émilion is patent. Richard Serisier has his sights set on the long term. By any standard, creating and marketing a new brand from the Bordeaux appellation is a difficult task, and even more challenging for a foreigner. However, Richard is following his star… Even such a serious setback as the horrendous frost damage this year (75% of the crop was lost) has not deterred him or Stéphane Renié, who is in charge of the day-to-day running of the estate. The best wines so far have been made from 100% Merlot, but that will soon change when the new plantings of Cabernet Franc and Malbec vines come into production. The vines are grown sustainably. Richard and Shelley Serisier belong to a long line of enthusiastic entrepreneurs from abroad who have contributed so much to Bordeaux wine. I have little doubt that their efforts will pay off, and their wines are well worth discovering. Posted in Uncategorized and tagged bordeaux wine, bordeaux wines, BordeauxWines on August 27, 2017 by AlexR.